London: From Boris Becker's acrobatics in 1985 to Roger Federer's languid brilliance in 2003, Wimbledon has provided the stage for many of tennis's most formidable tyros to secure a maiden grand slam trophy. Yet since Federer clinched the first of his seven Wimbledon crowns, nobody outside of tennis's so-called big four has had a look-in at the All England Club with the Swiss, Rafael Nadal, Novak Djokovic and Andy Murray sweeping all before them. A quick glance at the bookmakers' favourites for this year's title shows few expect tennis's kings of the court to be dethroned any time soon. Yet with the world's current top five all now in their thirties, perhaps this is the year for a new generation to announce their arrival. Below we take a look at some of the up-and-comers who could cause an upset. With his single-handed backhand, Austria's Dominic Thiem boasts one of the best shots in men's tennis, and another impressive claycourt season saw him emerge as the only person to beat Nadal on his beloved red dust this year. 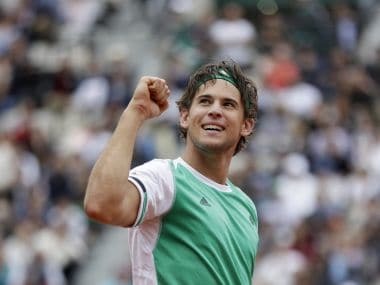 En route to the French Open semi-finals for a second straight year, Thiem destroyed Djokovic, winning the third set 6-0 in 20 minutes, to further underline his growing stature in the game. Questions remain, however, as to whether the claycourt specialist, who often stands deep behind the baseline to receive serve, can adapt to the slick lawns at SW19, where he has never gone past the second round. Zverev's swashbuckling game has already seen him tipped as a future grand slam champion and he comes into Wimbledon with some pedigree, having won three tour titles this year. The younger brother of world number 30 Mischa, Zverev showed his grasscourt prowess by reaching the final at Halle only to lose in straight sets to Federer, who he beat at the same event last year. 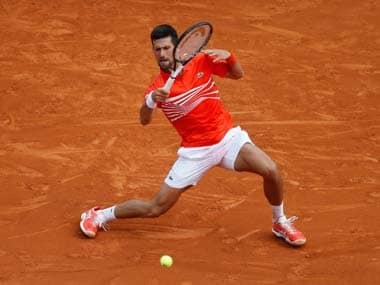 His season, however, has not been an unmitigated success: Days after beating Djokovic to win the Rome Masters, he crashed out of the French Open in the first round to Fernando Verdasco. Pouille made his mark when he ousted Nadal from last year's U.S. Open in a pulsating four-hour, fourth-round upset. That led the now 15-times grand slam champion to remark that Pouille "could fight for the big things the next couple of years". The Frenchman's grasscourt pedigree looks good after he reached the quarter-finals at the All England Club last year, and he underlined his progress by claiming his second tour title of the season at the Wimbledon warmup event in Stuttgart. Nick Kyrgios's three appearances at Wimbledon could be viewed as his fledgling career in microcosm. 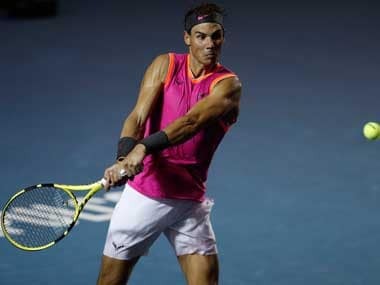 It is three years since he gave an early glimpse of the irresistible power at his disposal to blow then world number one Nadal off Centre Court in one of the most extraordinary upsets in the tournament's modern history. Since then, however, his progress seems to have stuttered amid criticism of his attitude, behaviour and commitment. He faced accusations of tanking at Wimbledon in 2015 in a fourth round loss to Richard Gasquet, while his defeat to Andy Murray 12 months ago prompted John McEnroe to criticise his temperament. Having reached a career-high 33 in the world in 2015 Coric is one of several young players who have been tipped for great things but have found the next step tricky. He slumped to 79 in the rankings earlier this year, but then claimed his first ATP title in Marrakesh in April. 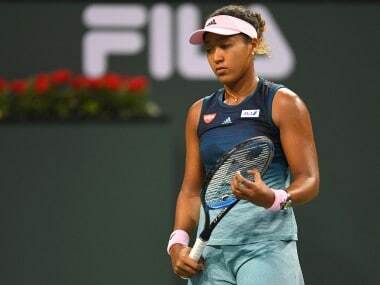 Hyeon Chung has little pedigree on grass, but he is among the brightest young talents in the game and showed a glimpse of his potential when he took Kei Nishikori to five sets in the third round of the French Open, his best grand slam performance. Wimbledon junior champion Denis Shapovalov sneaked into this year's main draw with a wildcard, but is undoubtedly a promising talent. He beat Britain's Kyle Edmund to reach the second round at Queen's before pushing former Wimbledon finalist Tomas Berdych to the limit in an enthralling three-set defeat. The Canadian made headlines earlier this year when he was disqualified for striking umpire Arnaud Gabas in the eye with a ball after hitting it aimlessly towards the crowd during a Davis Cup tie against Britain.